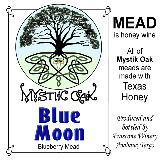 A tradition mead made with 100% raw South East Texas honey. 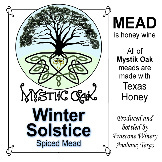 Bottled in in 2015, this sweet mead has a wonderfully aged taste that has taken on a hit of a nutty flavor. 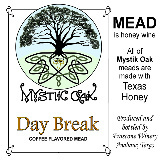 This sweet mead is made with 100% raw South East Texas Honey and organic Chamomile. 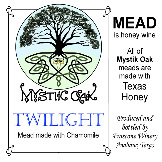 Twilight is a stronger chamomile flavor than our Twilight. A perfect end to a busy day. 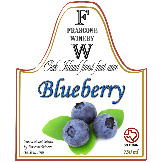 A wonderful balanced mix of a semi-sweet mead and a all natural blueberry wine. 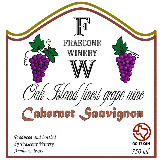 A favorite amongst some of our customers. 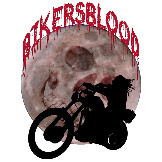 It going fast. 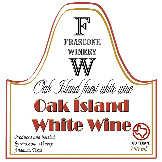 We cold brewed Primos Coffee beans roasted in Cove Texas with a tradition mead. Midnight is a bochet mead. A bochet uses carmalized honey. We start with a raw Texas honey and carefully carmalize the honey with out getting that burnt taste you find in some bochets. 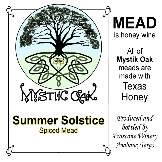 Summer Solstice is the same recipe as Spiced and Winter Solstice, except we use Cotton Honey from West Texas. This light colored honey imparts it's own characteristics of flavor for a pale mead. This semi-sweet mead is made with 100% raw South East Texas Honey and organic Chamomile. Starlight is a lighter chamomile taste than our Twilight. 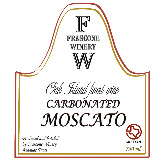 A favorite for just kicking back and enjoying the evening. 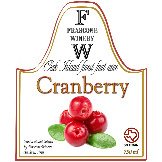 and infuse it during fermentation with Vanilla Beans, Nutmeg, Ginger, Cinnamon, and Allspice. 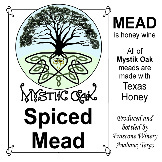 This Spiced Mead retains a nice amount of sweetness. Future releases will be known as Winter Solstices.